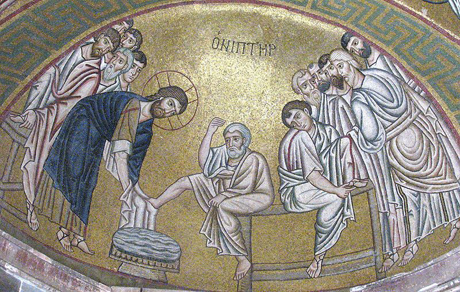 Jesus Washes Peter’s Feet. Mosaic from The Monastery of Saint Luke (the Hermit), Greece. Instructions for the preparation and celebration of the Passover. This feast celebrates God's deliverance of the people from slavery and from the "angel of death" in Egypt. Psalm 116: 1-2, 12-19 (UMH 837). A traditional Passover and Maundy Thursday psalm of thanksgiving for deliverance from slavery and death. Paul reminds the congregation at Corinth of the origins of Holy Communion, the centerpiece of their Sunday evening worship. John's account of the events in the upper room on washing the disciple's feet and a new commandment-- to love one another as Jesus loves them. We call this day Maundy Thursday in English in remembrance of this commandment. Maundy is from the Latin mandare, "to command." We begin the “Great Three Days” (“Triduum” in Latin): Maundy Thursday, Good Friday and Holy Saturday leading into the Great Vigil of Easter (Saturday after sundown). The church historically has generated more liturgies and hymns for these days than any other three days in the entire year. These are our highest holy days. If your congregation does not have the staff or resources to celebrate each well, or has little or no experience in leading one of these services at this time, encourage your members to attend other congregations or perhaps help to create shared community services so more of you can experience all of these services well. There are three other “great traditions” associated with the Three Days, starting with the conclusion of this service. The first is a “great fast” that continues until Holy Communion is received again at the Great Vigil (Saturday night). The second is a “great silence,” again until the Easter Vigil, broken only by participation in these services and the essential communication of daily life. This is part of the reason the three services of Maundy Thursday, Good Friday, and Holy Saturday (morning, not the Great Vigil that night) all end with a simple dismissal and silence rather than a blessing. Another part of the reason is these three major services are really understood as continuations of the one service begun with Maundy Thursday and concluding with the Great Vigil on Saturday night. The third is the “great prayer,” where congregations may leave a chapel or a prayer room open from the end of the Maundy Thursday service until the beginning of the Great Vigil to enable a continuous vigil of silent intercession, different persons taking up the intercession in shifts. Fasting, silence, prayer: these are the hallmark practices of Christian devotion and worship as we contemplate the mystery of human violence and divine love revealed in the suffering and death of Jesus and remembered in the services of these days. How will you encourage and support these or other practices in corporate worship and personal or small-group opportunities where you are? Every service of the Three Days moving into Easter is multisensory and kinetic. On Maundy Thursday, we wash feet and share Holy Communion. 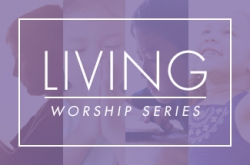 The full liturgy in The United Methodist Book of Worship and Dan Benedict's "Multisensory Worship Service for Maundy Thursday" provide guidance and examples for larger, more “public” worship settings. Maundy Thursday in an Alternative/Emergent Mode offers a model for smaller, more intimate contexts, with a link to resources for worship stations for the service as well. The Holy Thursday service is a service of Word and Table focusing on four major ritual actions -- receiving penitents (Entrance), inviting catechumens to walk the full Paschal journey (Response to the Word), washing feet (Response to the Word), and celebrating Holy Communion. Use "The Great Thanksgiving for Holy Thursday Evening" from The United Methodist Book of Worship, pages 64-65, or the new one linked above. As noted above, the Sending Forth on this night is traditionally followed by the beginning of a silence, vigil and fasting until the Great Vigil of Easter (Saturday after sundown). While the Old Testament and Epistle readings for this service refer to the Passover, the gospel reading for this night does not include anything like the "last supper" as recorded in the synoptic gospels (Matthew, Mark, Luke). Front and center in the gospel for this service is the remarkable act of the master, Jesus, washing the feet of his disciples. Historically, while Communion has always been celebrated as an integral part of Maundy Thursday, foot washing is the primary ritual action that marks this night. One interpretation of the absence of the "institution narrative" in John's gospel is that the gospel was intended to be used as a guidebook for catechumens (persons preparing for baptism) and the leaders who were preparing them. Already by the late first century, the practice of using "the 40 days" as intensive preparation for persons for baptism appears to have been in place in Syria where John's gospel was most likely written. These persons would not be able to participate in the Eucharist with the rest of the congregation since they were not yet baptized. Nor could they join the rest of the congregation in intercessory prayer, because the understanding was the the ministry of intercession was something only the baptized, those who had received the Holy Spirit, could offer. The role of the footwashing, then, appears to be parallel or even a precedent to the act of pre-baptismal anointing that developed later (as described in the early third century text, The Apostolic Tradition), and may have been thought sufficient to allow the catechumens to join the rest of the baptized for the final vigils of the Three Days. Praying in vigil was not seen as the same as intercession, and so would not be barred in principle to those who, though not yet baptized, were here recognized as part of the “community in waiting” with Jesus through his trial, crucifixion, burial, and resurrection on the Third Day. Discuss in your worship planning team whether foot washing in your context is the most helpful action to embody what is described in John’s gospel. Footwashing in first-century Palestine was an act of kindness and physical care in receiving guests that was also actually needed. What was uncommon in the story recounted by John was not that feet were washed, but that the master washed the feet of the disciples. So think about your context and the contexts of the worshipers who will participate in this service with you this night. If your worshiping community has a significant ministry with homeless people or others who are “on their feet” all the time, washing feet and some basic pedicure might be exactly what is needed. But if the vast majority of your worshiping community work desk jobs and foot washing has no real meaning for them, washing or basic manicure of hands might be more appropriate. In a number of Asian cultures, it may be not washing as much as it is massage that would correspond to what Jesus was doing. Know your context. Offer what makes sense for your people and in your setting. The test of what you do is not whether it reproduces exactly what Jesus did with his disciples, but rather whether it fulfills the commandment (mandatum) for which this day (Maundy Thursday) is named-- "Love one another as I have loved you." Whatever action or actions of hospitality and physical care you offer, plan well. Allow each person the time needed to give and receive the sign of care. In the case of foot washing, plan on at least one full minute per person (arriving at the basin, removing socks/stockings (if not already done), washing each foot, drying each foot, placing socks/stockings back on, leaving station). Plan to have enough stations and use ushers wisely so no one needs to stand in a line for long. And plan for what those waiting will do while they wait. Should there be singing? Guided prayer? Silence? Know what your worshiping community can do and provide clear guidance so they know what to do. Coordinate where worship will take place and how you will arrange the space with whatever signs of physical care you plan to offer. In sanctuaries with fixed pews, some offer foot washing by inviting people to the front of the worship space row by row, with people in the previous row washing the feet of those in the next. Others locate the service in a fellowship hall or other place where seating can easily be arranged in rows far enough apart to accommodate people kneeling or sitting in front of others to wash their feet in the rows. If the weather is cooperative, you may even be able to offer the entire service outdoors. Just be sure to have plenty of towels on hand and ways to replenish clean water as needed. In this and all the services of the Triduum, there should be no sense of rush at any point. These are services to where we are invited to pay close attention, taking everything in. To avoid any sense of rush while not allowing the service to feel like it is dragging, strongly consider keeping announcements and other non-essentials to a minimum and offering a briefer rather than a longer sermon, if you offer a sermon at all. For the atmosphere of the worship space for tonight, think simple but not stark. The stripping of the sanctuary happens at the end of this service, not its beginning. Wait for the starkness. The body of this service is time for gracious signs of mutual love and care. Select artwork or projected imagery to support the ritual practices -- images of welcoming and reconciliation, basins of water, washing of feet, the bread and the cup. Soundscapes might include washing hands (or feet), dripping water, and mealtime sounds -- plates being placed on tables, silverware on plates, ambient dinnertime conversation, and so on. Let this and each of the services of these days stand on its own. Plan each to help worshipers be fully present in its particular moment, neither looking back nor anticipating the next service. The Triduum -- the three days between Lent and Easter -- begins. The logic of Lent-Holy Week-Easter is geared to conversion and to God's restoration and reconciliation of human beings with one another and with God through Christ. Night services are powerful. Enter into the ambience of holy darkness. As mentioned above, traditionally the services for Holy Thursday, Good Friday, and Easter Vigil function as one extended service, with no benediction until the Great Vigil, or Easter Sunday morning if your congregation does not offer the Great Vigil. In a sense, these are all services of vigil, of watching, waiting, praying, reflecting, and, especially at Tenebrae, Good Friday and Holy Saturday morning, much silence. So shape the prayer and spirituality of these services as a continuous watching with Christ. Where to start planning worship: Use the Holy Thursday liturgy in The United Methodist Book of Worship, 351-354, or Maundy Thursday in an Alternative/Emergent Mode as a template, adjusting the language and flow as you need to for your community to express these actions well. If you have not included foot washing or other acts of basic physical care for others in worship gatherings before, be sure to prepare the people for this. A popular practice for this service in some quarters is to offer a "living last supper" or a reenactment of the Last Supper. Note, however, that the focus of the gospel reading is not the Last Supper, but the foot washing. The primary purpose of Maundy Thursday is not to remember the "first" Last Supper, but to be remembered by the Lord who invites us to be washed by him, commands us to love one another, and offers to encounter us anew at table. Keep in mind that realigning congregational worship traditions, especially around holy seasons, requires love, patience, and time. Listen and look for points of contact between what the congregation is seeking to do in its current practice and new (or ancient!) practices that may be more consonant with the texts and purposes of this service in the Triduum. Instead of replacing a current reenactment service, for example, you might consider moving the re-enactment to a service of Tenebrae (see UMBOW 354 ff) at a later time and adding a service of Maundy Thursday that more closely parallels the church’s official ritual. Adding rather than replacing services can reduce conflict and help make what it added more welcome. The Great Three Days (Triduum) are an opportunity for those preparing for baptism and those seeking restoration in the church to walk with the church in the most intense spiritual journey of the Christian year. Here is a suggested ritual of welcoming for catechumens for the Three Days. This would come as part of the Response to the Word in the liturgy in The United Methodist Book of Worship. Those preparing for baptism are called to stand before the baptismal font. Representatives of the congregation, including the lay leader, catechist, and sponsors are invited to accompany these people. in the way of the cross of Jesus. with this fellowship of his disciples. that we may share this journey together. and to live his love for us with one another. Appropriate signs of welcome may be shared. The service continues with the washing of feet or other acts of physical care. You will find specific ritual suggestions for Holy Thursday worship when there are penitents in Come to the Waters, by Daniel Benedict (Discipleship Resources, 1997). See in particular Part II, Chapter 3, pages 148-150. Penitents who have been reconciled in this service areinvited to receive. Tenebrae. See The United Methodist Book of Worship, 354-361. You may follow the Maundy Thursday service with this, or use this as a night service on Good Friday. The United Methodist Great Thanksgiving for Holy Communion on Holy Thursday (UMBOW 64-65) points to tonight’s texts. In the prayer before the Sanctus, we remember our deliverance from captivity, symbolized in the Passover feast described in Exodus. In the prayer after the Sanctus, we give thanks for Jesus as the one who "Emptying himself . . . washed his disciples' feet." The tone of this evening's celebration of Holy Communion is solemn, but not mournful or penitential. This is the last time Holy Communion is to be celebrated until the Great Vigil of Easter or Easter Sunday morning. Good Friday is a day of mourning and fasting. Holy Saturday is a day of fasting as well. Holy Communion is not to be celebrated at either occasion. While the gospel this night does not include Holy Communion at all, some congregations have developed a pattern of remembering this night as the "founding of the feast." Trying to celebrate both the New Commandment and the founding of Holy Communion on the same night in an already crowded Holy Week was long ago deemed unwise. That is why the mainstream Western and Eastern traditions have thus chosen to focus this service, as the gospel does, on the new commandment and the washing of feet. The Western tradition created a separate feast to celebrate the “institution,” called “Corpus Christi,” beginning in 1264. 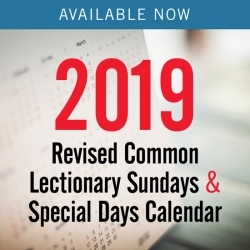 Roman Catholics and some Lutherans and Anglicans continue to celebrate it to this day on the Thursday after Trinity Sunday. As suggested above, if your congregation has a tradition of a re-enactment, consider moving this to a service of Tenebrae or another time, and keeping this night for what the whole church historically has kept it for. More decisive action is required for another practice that has become popular in some Protestant circles—that of attempting to re-enact a “first-century Seder” or create a Christianized Seder. The United Methodist Book of Worship has this to say about Seder practices. "United Methodists are encouraged to celebrate the Seder as invited guests in a Jewish home or in consultation with representatives of the Jewish community, thus respecting the integrity of what is a Jewish tradition and continuing the worthy practice of Jews and Christians sharing at table together. Celebrating the modern meal without a Jewish family as host is an affront to Jewish tradition and sometimes creates misunderstanding about the meaning of the Lord's Supper" (p. 351, emphasis added). Why is our General Conference approved official guidance on this matter so strong? The answer is because it is simply true. Christians celebrating Seder themselves is offensive to many Jewish people, and does nothing to promote deeper understanding either of Judaism or of the Jewish roots of Christianity. But there are important historical and biblical reasons that non-Jewish persons should not be presuming to celebrate this festival. First, any specific connections between the Last Supper and Passover ritual in the time of Jesus are actually impossible to establish. There are no reliable texts describing Jewish Passover practices at all until the third century, and there is no way to demonstrate that these texts, which are themselves rather sketchy on some points, reflect what first-century practice would have been. Thus, trying to recreate a first-century Seder or imagine what it may have been is just that—an act of imaginative speculation, not an act of responsible historical interpretation. It should also be noted that Jewish Seder practice today is also not based on these third-century texts, nor does it claim nor try to be. Instead, it consciously embraces the later history of the development of this rite beginning in the late middle ages and into current times. Second, Jesus chose perhaps the most non-distinctive elements of the Passover meal -- bread and wine, common to all meals -- as the signs and bearers of his body and blood in all the biblical accounts of the last supper in the gospels and I Corinthians. Given conflicting accounts between Luke and the others about which cup of wine Jesus used to designate his blood, there is no way to conclude decisively, on biblical grounds, what the meaning of that cup would have been related to a first-century Seder, even if we had access to a definitive text. Third, the earliest forms of Christian Eucharistic prayers bear far more resemblance to first-century Jewish thanksgivings for meals (Q’iddush) or for Sabbath than to anything we see from the third century or even later medieval Jewish Seder texts. Finally, John's Gospel, which we read this night, describes the events of this night as occurring before the festival of the Passover, while the synoptics (including Luke, which we have read on Palm/Passion Sunday) place the Last Supper as a Passover meal. Passover themes are certainly present in all the gospel accounts and provide some kind of context for the story of the last meal the disciples shared with Jesus. However, these differing accounts in the gospels should make it clear that trying to press any specific actions into any particulars of Jewish Passover ritual of that or any time is problematic at best. So, if you want to celebrate a Seder, ask a Jewish family or congregation if you might join as a guest. If you want to celebrate Maundy Thursday, trust and use our official liturgy or the alternatives on this website. These reflect the wisdom and scholarship of centuries of Christian faith and practice on this night. All of us have been in situations where it was hard to say goodbye. We have had to say goodbye to parents when we moved away, goodbye to our children when they grew up, or goodbye to a dying loved one. I remember when I moved out of my parents’ house. I was eager to go. My father, who was a United Methodist minister in Arkansas, had been moved from Fayetteville, Arkansas, where I’d lived all my life, to Fort Smith, Arkansas, about 60 miles to the south, when I was going into my junior year of high school. I never really adjusted to life in Fort Smith. I had been unhappy for two long years, and all I could think about was how much I wanted to move back to Fayetteville. So I did. As soon as I graduated from high school, I packed up all my things, rented a scruffy little apartment in Fayetteville, found myself a job for the summer, and moved out. I never went back to live with my parents, not even for a summer break. But I can still remember how I felt when my parents drove away and left me alone in my pathetic little apartment. My dad had helped me move all my stuff up to Fayetteville in his truck, and he helped me unload it all, and my mom helped me get everything set up. We went out for dinner together. And then they left. It was a very lonely feeling, being on my own for the first time. It was hard to say goodbye to them when they drove off, and it still is, every time I go and visit. My parents always stand outside and wave and watch until I go around the corner and disappear. And I always have that tiny fear deep inside that maybe this will be the last time I will see these people that I love so very much. But saying goodbye because we have moved out of our parents’ house, or saying goodbye when someone we love has visited and now has to go back home is not nearly the most painful sort of goodbye that we have to face in this life. As pastors, all of us by now have been in the situation where someone precious to us is dying—our mother or father or husband or wife or child, a colleague or close friend, or a beloved parishioner. At some point, you realize that the person has come to the end of the journey. It’s time to let go. And you know that these are the last moments you will have on this earth with this person that you have loved. You want to say something significant, but maybe the primary significance is in the loving silence that you share together after there’s nothing left to say. In that moment, you just say “I love you,” and you hope you will never forget. You want to remember your last words. You want to remember the person’s face. You want to remember everything that happened. All of us have to handle these last goodbyes, these final farewells. And we deal with them in different ways. Some people are rather stoic about it. My dad will give me a hug, a nod, and then say goodbye. But he’s not one to linger or become overly emotional— at least not when I can see him. Others are criers. We tear up. We sob. We can’t talk. There are the “It’s all good” people, those who try to make the final farewell lighter and express their faith that everything will be okay. Still others avoid these situations all together. That is, they do their best neverto get caught in the situation of having to say the last goodbye. We pastors can’t be avoiders. We have to be present for the goodbyes. Even so, we don’t always do it well. I’ve had some good goodbyes and some bad ones. It’s always hard to say goodbye to a church, to a group of people who have shared my life for many years, people I’ve been with through marriages, baptisms, and funerals, and to whom I’ve grown very close. We United Methodist ministers are supposed to say goodbye and not keep in touch with the folks in our former churches. Our supervisors tell us that if we don’t cut those ties, it will interfere with the congregation’s ability to bond with their new pastor. So I know that when I leave a place, it really is goodbye. Maybe there will be Christmas cards exchanged occasionally with a few people, but I know that when my time comes to move on, it’s pretty much over. No matter how you leave, be it under good circumstances or difficult ones, it is always hard. When I left one of the churches I served a number of years ago, I remember feeling very unresolved about my feelings over leaving. It had been a difficult appointment and a difficult departure. I’d had a lot of pain there, and some relationships with people in the church that were not good, so when I left, I cut off all contact. I didn’t answer calls from people. I didn’t send Christmas cards. Nothing. Not one conversation with anyone after I was moved, suddenly and unexpectedly, in the middle of the appointment year. I made a total and complete break. Not such a good way to handle a goodbye. Sometimes we don’t do such a good job. Such was the mood of the last supper of Jesus, the last night that Jesus shared a final meal and conversation with his disciples. It was time for the last goodbye. During that meal, the disciples were so overwhelmed by the pain of the moment, they could not be open to or see any possibilities for the future. For three full years, these twelve men had lived together and loved one another. They had been together night and day: three years of meals, three years of miracles, three years of teaching. They had shared so much life and so much death together. They had grown used to being together. So there they were in Jerusalem together for one final time, the last meal, the last words, the last time to ask questions and talk and listen. The disciples knew that Jesus was in grave danger and would die. They knew that this was their last moment together. So during that last supper, the disciples listened intently to the words of Jesus, hanging onto his every word. They didn’t understand, but still, the disciples listened and later on they recalled what he said and told others who wrote them down. The disciples were totally quiet as they concentrated on these last words, on these last teachings. Then, suddenly, everything changed. The room went quiet. No more words. They watched as Jesus took a bowl and a pitcher of water. They watched as he came and knelt before each of them They heard the sound of the water pouring as he washed the feet of one disciple, and then another, and then another. All this time, while Jesus washed their feet and spoke to them, the disciples did not imagine that Jesus was going to return to them. They thought it was the end. They thought it was the final goodbye. Even though he had said it, they didn’t believe they would see him again. And I can understand that. I can understand why they were confused. When I moved away after high school. I thought my relationship with my parents was over for the most part. I was so young. I couldn’t yet see that our relationship would continue even after I was no longer living with them. I couldn’t understand that our love and care would continue on to span decades, or that our relationship would evolve into 30 years of long conversations on the phone, and visits, and occasional trips together, so that now, 30 years later, we would be even closer than we had been before. I didn’t see it because my mind was not open enough to imagine the miracle of God’s ways. I didn’t realize how life would unfold. I didn’t realize how God would work. Just as I didn’t realize that after some time passed, my pain over that difficult appointment would finally lessen, and I would be able to go back a few years later and see some of those people, and mend some of the brokenness, and be at peace about the vision God had for my life and the work that I was being called to do somewhere else. Or that I would, in fact, end up keeping some contacts with a few people from each congregation that I have served, and those people would let me know the news of the people from my past that I had loved. In all of these situations, I thought I was saying my last goodbyes. I simply couldn’t see the possibilities of the future that God had prepared for me. So it is with all of us. Each of us takes our turn. We are too absorbed in the pain of the moment to be able to open our hearts to the future, the future that God has prepared for all of us. And so it was with the disciples. They thought they were having their last goodbyes, and they didn’t comprehend what Jesus was saying. They couldn’t comprehend his words because they were so absorbed in the pain of their own loss. So often in life, we think it is all over. We think we have said our last goodbyes and that’s it. We have trouble believing that our lives are held in the hands of a loving and trustworthy Lord God. Our last goodbye is not the final goodbye. It is always a farewell, because life continues. Resurrection is real. and everlasting life is the promise. Jesus does not leave us orphaned. God comes to us in the Holy Spirit, and lives within us, heals us, and prepares us for a future that is completely new, a future in which we will all be transformed. And the Last Supper with the disciples was not the end. It was only the beginning of the holy meal that we continue to celebrate in this life, until Christ comes in final victory and we feast at his heavenly banquet..